"I felt very confident in Dr. Wittgrove's care, she gave a very good first impression." "Dr. Wittgrove and her team are awesome." "For a first time mom Dr. Brown makes me feel very comfortable." "Informative, open minded and is phenomenal to be around!" "All I can say is that I am very happy to have discovered this office and doctor." ""The waiting room is large, clean, and filled with baby magazines. " "I would definitely recommend this physician to friends and family." "Dr. Wittgrove has been more caring and personal in my 1st visit than any other OBGYN." Drs. Perri Wittgrove and Elise Brown are committed to being your partner in health care. Our private practice Wittgrove & Brown Obstetrics and Gynecology, located in San Diego, California is focused on comprehensive, technically advanced obstetrics and gynecology services coupled with patient friendly service. We offer a wide variety of services including annual Well Woman exams, Pap tests, contraception, birth control, prenatal care, menopause treatment, and infertility consultation. Drs. Wittgrove and Brown are leaders in providing high quality, comprehensive health care in obstetrics and gynecology to women from adolescence through late adulthood. Dr. Brown completed her Medical degree at Rosalind Franklin University of Medicine and Science and her residency at the Metro Health Medical Center. Dr. Wittgrove earned her Medical degree at the University of Maryland and completed her residency at the Parkland Memorial Hospital. From annual health evaluations to obstetrics and surgical interventions, we are here for you. We utilize our professional and personal knowledge and experience to benefit our patients in wellness and illness, throughout the phases of women lives. If you have any further questions or should you need more information, we invite you to call our office. We are currently welcoming new patients and accept most major forms of insurance. Contact us today to schedule an appointment. Drs. Wittgrove and Brown created this Patient Portal to provide you, their valued patient, with an alternative for managing your healthcare. The Patient Portal is not a replacement for calling or visiting our office; it is simply another tool to empower you the patient and simplify the process of accessing the quality care you deserve in our office. Please always verify we participate in your insurance plan when you call to schedule your appointment as our participation with different plans may change from time to time. We also strongly recommend that you contact your insurance carrier to verify your coverage, benefits, limitations and exclusions prior to appointment. For insurance plans with which we participate, we will seek to obtain verification of your eligibility. However, even when coverage, benefits, and eligibility are verified, your insurance plan will not guarantee the accuracy of their confirmation. Know your benefits as there are some services for which a deposit is required. "I was very impressed with Dr. Wittgrove. She is a lovely, caring doctor. I was immediately very comfortable with her. " 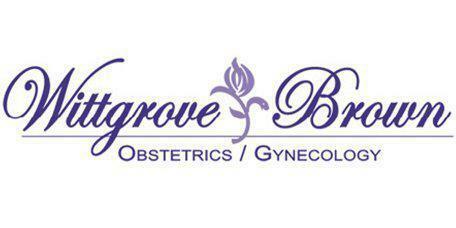 "Dr. Wittgrove is the BEST OB/GYN! She doesn't fool around with your health-she listens and uses her expertise to fix what is wrong." "Dr. Wittgrove's staff was very friendly. I felt very confident in Dr. Wittgrove's care, she gave a very good first impression." " I think this is the one doctor's office that I don't have hour long delays. I recommend to anyone who needs to see an OB-GYN." "Dr. Brown is the best OBGYN I have been to. I recommend her everyone." "I love this Doctor. She is knowledgeable, understanding and respectful." "She has a great personality and is an outstanding OB. She is familiar with natural, unmedicated childbirth." "As a healthcare professional myself, I appreciated Dr. Brown's efforts to make my appointment as painless as possible. I look forward to working with her in the future." "I love Dr. Brown. She has delivered all three of my children and is scheduled to deliver baby number four...Overall, a very good doctor." "My overall experience with the doctor and staff is satisfaction!! She is courteous, caring, and attentive!!" "Dr. Brown's staff is also caring and have great customer service skills. I would recommend her to my friends"
""Had I read that comment prior to my visit I may have missed out on a great physician. I personally would recommend Dr. Brown to anyone who values a great physician." "I felt comfortable with Dr. Wittgrove immediately; I have now seen her several times and am pleased that she takes my concerns seriously." "Such a pleasant experience. Dr. Wittgrove is so great! I am reassured about my health when in her care." "Dr. Wittgrove was delightful and very informative. She made me feel comfortable to ask all of my questions." "I am very impressed with my experience at Dr. Wittgrove's office. Dr. Wittgrove and her office staff are amazing. I am so glad that I found this office." "Dr. Wittgrove is exceptionally warm with excellent bedside manner. She took her time to really talk to me and my husband during our first OB appointment with her." "I was very happy and comfortable during my time at Dr. Wittgrove's office. Dr. Wittgrove put my mind at ease. Thank you."